across all time periods and architectural styles. SAH encourages submissions from architectural, landscape, and urban historians; museum curators; preservationists; independent scholars; architects; and members of SAH chapters and partner organizations. those whose research does not match any of the themed sessions. Abstracts must be under 300 words. The title cannot exceed 65 characters, including spaces and punctuation. Abstracts and titles must follow the Chicago Manual of Style. A maximum of two (2) authors per abstract will be accepted. This entry was posted in Call for Papers and tagged Architecture, Cities, medieval, Tombs, urban history on May 9, 2016 by mikechanters. The idea that the shaping of tombs and funeral places goes beyond aspects of personal welfare and mirrors social functions and meanings of commemoration up to political claims is very popular in medieval research and leaves its mark on examples from Christian and Islamic contexts likewise. Beside an enhanced interest in ritual integration, recent investigations show a wider perspective on concrete location and spatial situation as main factor for the understanding of tombs and their function. As a result, space is interpreted beyond physical boundaries and frames as a relational definition based on social construct in the sense of collective perception, use and appropriation. The conference will give the opportunity to discuss these approaches within comparative perspectives on medieval objects, buildings and places of commemoration in Christianity and Islam. The focus lies on the relevance and the integration of tombs as places and spaces of formative and constitutive character in both religious cultures. This entry was posted in Conference and tagged Conference, Sculpture, Tomb Sculpture, Tombs on December 17, 2015 by itedbury. Saturday, 17th October 2015 at 2.00p.m. The church of St Mary Magdalene, Newark-on-Trent, is a product of the ‘building boom’ of the 14th and 15th centuries. The townsmen and their families were the principal benefactors of the church paying for the reconstruction, providing its furnishings and establishing personal chantries and memorials to aid their way to salvation. The earliest surviving brass is the magnificent Flemish brass for the merchant Adam Fleming (1361) one of the foremost merchant monuments of the fourteenth century. Brasses for other townsmen John Boston (1540) and William Phyllpott (1557) are to be found in the south choir aisle. To the south of the high altar is the Chantry Chapel for the Robert Markham complete with early sixteenth century panels depicting ‘The Dance of Death’ complete with a dancing skeleton. Members will have an opportunity to view the church and its monuments before. Tea will be available at the conclusion of the day with donations going towards the maintenance and running of the church. The Church will be open prior to the meeting. This meeting is free for members and non-members of the Society but registration is required by contacting the Hon. Secretary, Christian Steer, 8 Shefford Lodge, Link Road, Newbury, Berkshire, RG14 7LR (e: christianosteer@yahoo.co.uk). 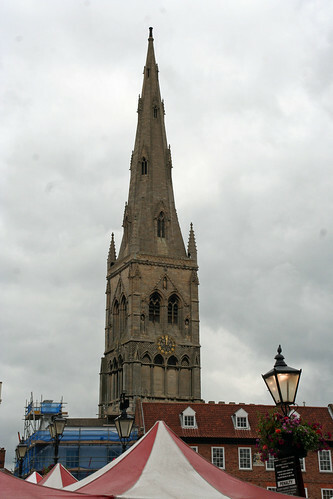 The church dedicated to St. Mary Magdalene is located in Church Walk in the centre of Newark. The postcode for satellite navigation is NG24 1JS. The nearest station is Newark North Gate (served from London: Kings Cross) with a walking distance of 0.6 miles (12 minutes). This entry was posted in Excursions and tagged Fieldtrip, Monuments, Tombs, Visit on October 9, 2015 by James Alexander Cameron. There was a packed conference room in the newly-refurbished Institute of Historical Research at Senate House, as eager members of the Church Monuments and Monumental Brass Societies gathered to hear about new approaches to incised brass memorials. 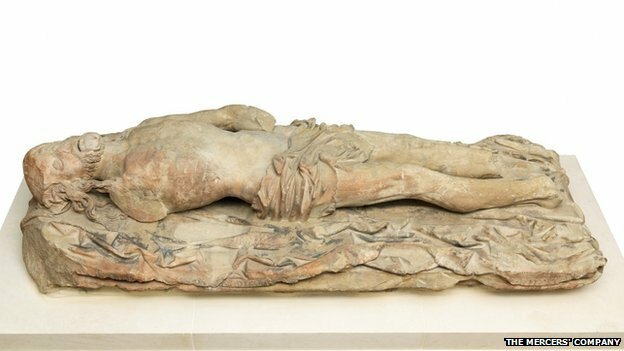 As a sequel of sorts to a conference reconsidering approaches to funerary monuments on the half-centenary of Panofsky’s Tomb Sculpture held at the Courtauld Institute in July, the stakes were high for a day on one of the potentially less-colourful genres of late medieval art production. However, the conference proved that brasses could also produce many novel and intellectually profitable methodologies, rather than inward-looking and basically descriptive case studies. 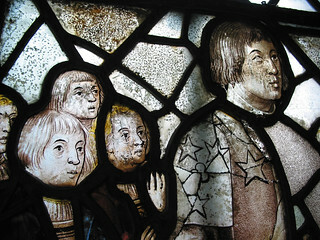 Richard Marks (‘Brass and Glass’: the medieval tomb-window) began the day with some pearls he had discovered in his relentless trawling of late medieval parochial wills, and that “brass and glass” was more than just a rhyme: many church windows acted as surrogate funerary monuments. Without the wills, there would be no way of knowing that the fragments of stained glass were patronised by the memorialised person under our feet. The use of documents to consider individual agency was also explored by Jessica Knowles on All Saints North Street in York (’Controlling the Past’: the Medieval Brasses of All Saints North Street, York), and at the end of the day by Christian Steer on the brasses in the lost London convent of the Friars Minor (’A Melting Pot of Death’: Burials and Brasses in the London Grey Friars). This veritable carpet of memory raised the intriguing questions of why the Franciscans were so popular among well-to-do Londoners, and how the friars themselves – supposedly unable to own property – bought their own brasses. The idea of the importance of patrons’ agency in the design of memorials was raised in the paper by Matthew Ward discussing Chellaston alabaster workshops (Late Medieval Style: the Role of Agency and the Workshop). Michael Carter then showed how an alleged London Type-B brass in Fountains Abbey was almost certainly later than the usual timespan of that workshop; instead the evidence of the iconographical motif of raising a mitre to show off a cleric’s doctoral credentials gave us the identity of the commemorated abbot (The Mysterious Mitre on the Monument). Looking outside of the constraints of the medium continued: Harriette Peel (Women, Children and Guardian Angeles in Late Medieval Flemish Funerary Art) also used novel iconographical analysis to show that a Flemish brass commemorating a young girl may be making appeal to female hagiography through its inclusion of a guardian angel. Sanne Frequin brought colour to proceedings with some technical findings of the polychromy of Tournai Marble monuments: supposedly a “pure” medium like brass (Tournai Stone: an investigation of materiality). It is often forgotten that England, with its religious rather than social revolution, has a much richer corpus of funerary monuments than much of Europe. 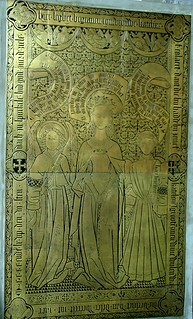 Ann Adams used the English corpus of tomb chest-top brasses to creatively illuminate the apparently peculiar choice of the genre over sculpted effigies by some Flemish nobles (‘Revealed and Concealed’: Monumental Brasses on Tomb Chests – the examples of John I, Duke of Cleves and Catherine of Bourbon). Robert Marcoux (The Social Meaning and Artistic Potential of a Medium: Brass and the Medieval Tombs of the Gaignières Collection) reminded us of the importance of the Gaignières collection in the absence of the physical objects, and demonstrated its statistical potential in mapping aesthetic tastes over time. The varied papers, coupled with a lively, knowledgeable and generous audience, made for a day that proved that the humble brass lurking under the carpet in many a parish church can prove a lucrative genre for the modern art historian’s inquiry. This review was originally published in Medieval Memorial Research newsletter, a free biannual summary on current developments concerning research in memoria of the Middle Ages and the Early Modern Period (till circa 1600), and is part of Medieval Memoria Online. This entry was posted in Conference, Past Events and tagged Brasses, Funerary monuments, Institute of Historical Research, New approaches, Review, senate house, Tombs on December 2, 2014 by James Alexander Cameron. The Courtauld’s medieval research group with a special interest in funerary monuments, Tomb Raiders, invite all to a visit to the Temple Church just off the Strand on the morning of the 30th October. The student rate will be £2. The church is open 11-1, so once everyone has arrived we shall gather about 11:15 in the Round nave to tour the church together. The day will be most generously lead by Catherine Hundley, Kress Fellow at the Warburg, who is writing her dissertation on twelfth-century Round Churches. 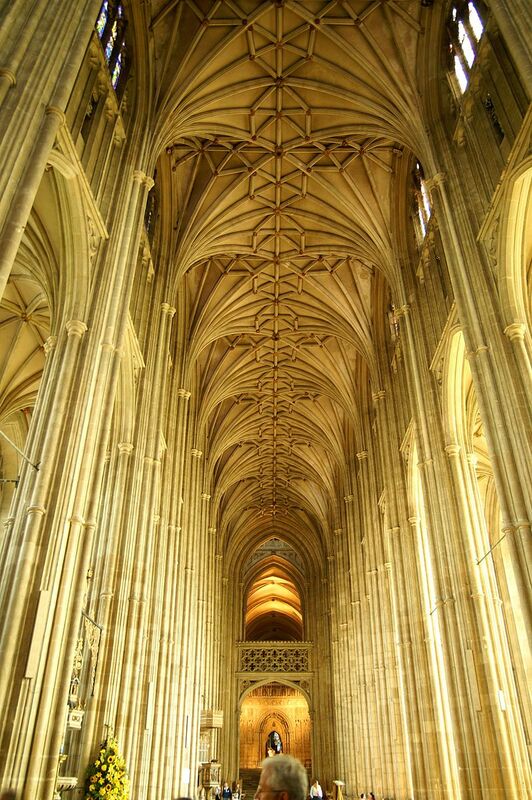 The church, built for the order of the Knights Templar and now hidden away in the Inner Temple betwen the Strand and the Thames, was built in two stages, the mid-twelfth century and early thirteenth, resulting in two very important examples of English Gothic architecture. It is also famous for its array of knightly monuments. Since the supression of the Templar order in the fourteenth century, the church has gone through much change and restoration, not least the terrible incendiary bombs of 1941, all which add to its remarkable history. The morning will be geared towards open discussion, but I would be happy if anyone would like to volunteer to give introductions to the choir, the effigies or the nineteenth-century embellishment and post-war reconstruction. Booking is not essential but please do email me at james.cameron@courtauld.ac.uk if you intend to come or would like to give an introduction to any feature. Also numbers are not limited so please feel free to invite anyone who you think may be interested. Afterwards we shall return to the Courtauld for lunch in the cafe. At 3pm is the Student Work in Progress round-table seminar in the Research Forum. For more information on the latter, please contact Anna.Koopstra@courtauld.ac.uk. This entry was posted in Excursions and tagged Architecture, Church, Gothic, London, Temple, Tombs, Visit on October 17, 2013 by James Alexander Cameron. The Monumental Brass Society are holding a study day at Lingfield Church in Surrey on the 28th September 2013. The speakers will be Nigel Saul and Clive Burgess. rate of £15.00 is available for full-time registered students. Lunch is not included. More information, including an itinerary and how to reserve a place, is available in this flyer. This entry was posted in Upcoming Events and tagged Brasses, Church, Study day, Tombs on July 13, 2013 by James Alexander Cameron. A new exhibition at Tate Britain focusing on iconoclasm and vandalism in art will feature a statue of Christ found beneath the floor of the chapel of the Mercers’ Hall in London. Since its discovery in 1954, the statue has never been sent out on loan. The statue is likely by a Flemish artist working in England and may have been part of a tomb monument. It was rather specifically damaged by the removal of its limbs before being buried at the Reformation, and preserves much of the fine carving of the harrowed face and intricate Gothic draperies. For further reading see the article shortly after its discovery by Joan Evans and Norman Cook (available here) and Kim Woods “The Mercers’ Christ reexamined”, in Richard Marks (ed. ), Late Gothic England: Art and Display, (2007), 57-69. This entry was posted in Exhibitions and tagged Exhibitions, Sculpture, Tate Britain, Tombs on July 13, 2013 by James Alexander Cameron.